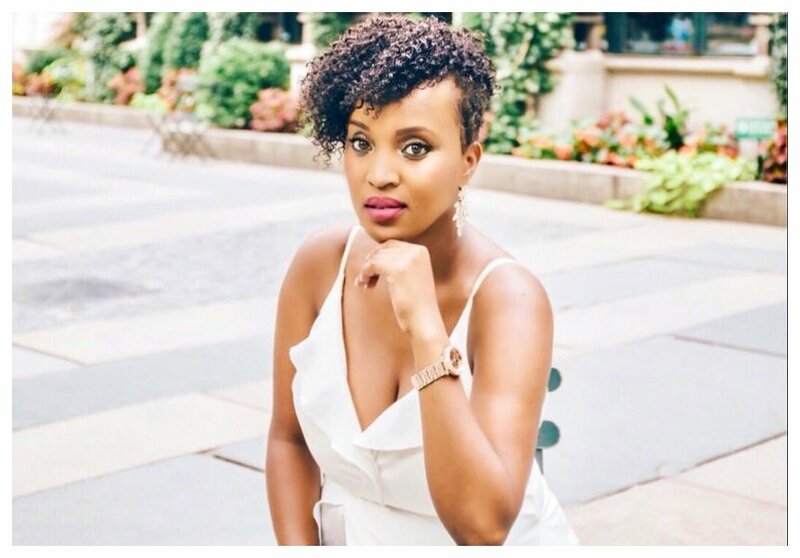 Former NTV presenter Kobi Kihara has now cleared most of her pictures from her Instagram page after Kenyans caught her stealing photos. Last week on Friday, Kenyans attacked the New York based presenter for stealing photos from other pages and posting them as hers. She even stole a photo of a baby and claimed it was a relative. She then came out out to apologize for her act saying she had warned people that her page was usually curated from other pages. “I posted this in October last year explaining my content. I’m sorry to everyone who I mislead, forgive me. I should have thought twice perhaps and I guess it got away from me. And to my friends in the DM and on WhatsApp thanks for the lovely messages, I’m ok…really to the trolls and bullies…it’s ok! I can handle being an online punching bag, go for it #KobiKiharaChallenge #KobiWithAnEye”” she said. 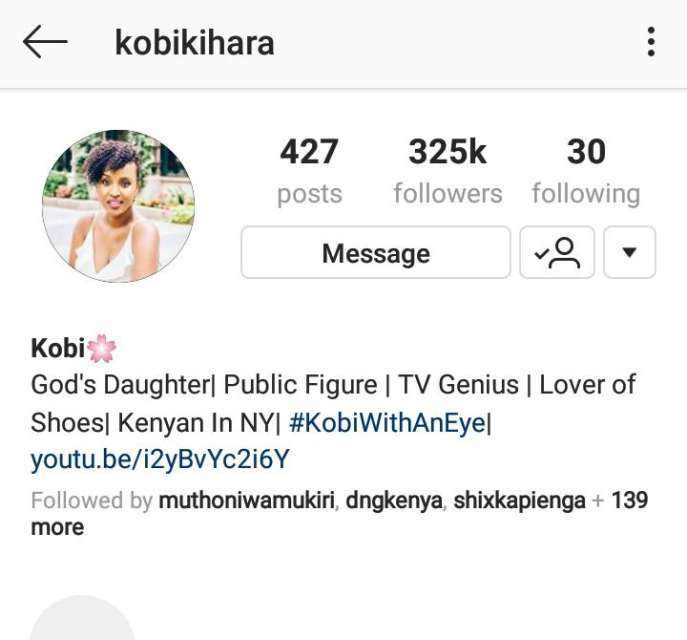 Now that she has deleted the images, Kenyans are patiently waiting to see what Kobi will be posting henceforth. He account had almost 2000 posts but now is at 400.